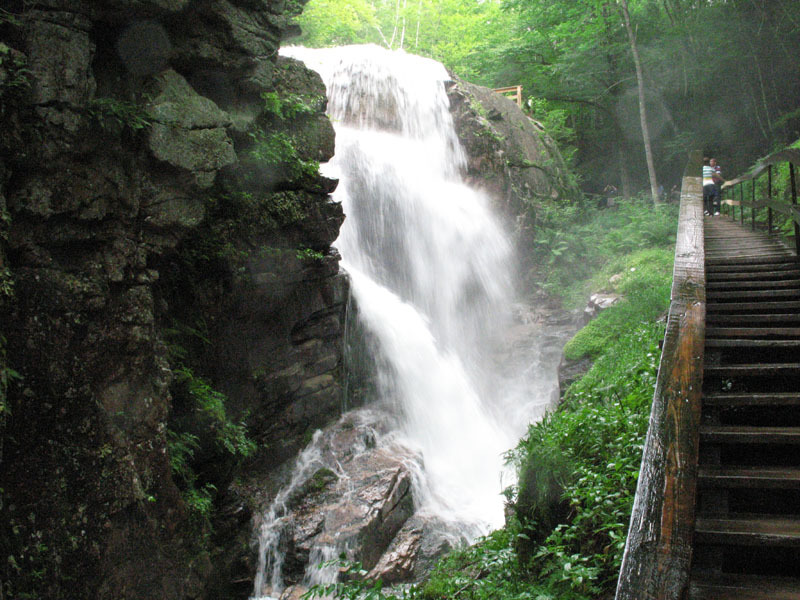 Gushing gorges, babbling brooks, trails, mountain ranges and beaches – New Hampshire is the perfect destination for outdoor adventurers and nature-lovers. You can lose yourself in nature but civilization is close-by. 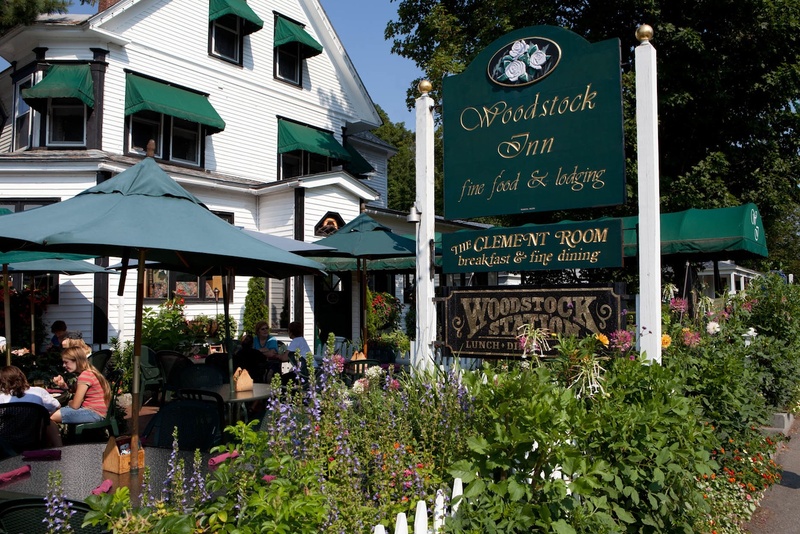 Small towns with cozy bed and breakfasts like the town of Woodstock and Lincoln offer shopping of locally made goods and home cooked meals. If you’re traveling by conversion van or RV, there are bath houses in the area or you can bathe in the brooks and rivers near by – bathing suit recommended for the other visitors sake. Firstly, the sites are beautiful, you could drive around all day and take in the lovely scenery and landscape. If you want to go camping for the night, there are a wide range of campgrounds around the area. Beautiful Echo Lake, at an elevation of 1,931 feet, offers views of Mt. Lafayette and Cannon Mountain. Visitors can also enjoy swimming, fishing, boating and canoe and paddle boat rentals. 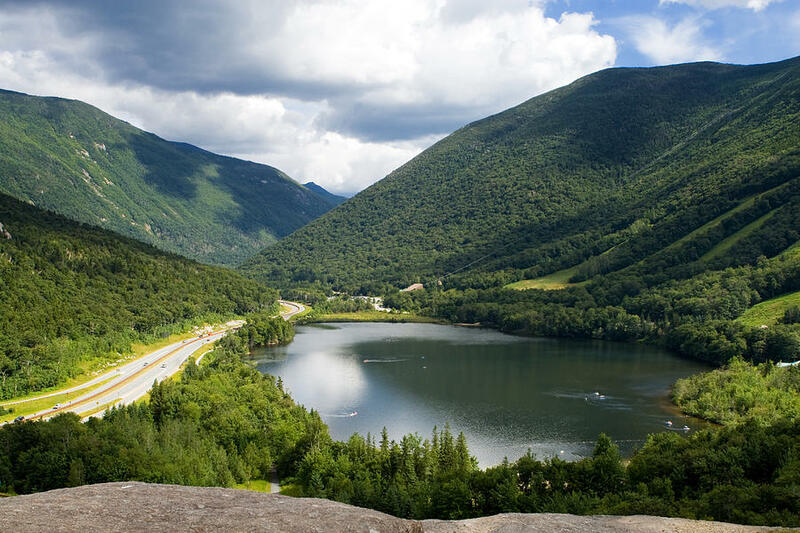 Franconia Notch was the home of the famous Old Man of the Mountain, the same “Great Stone Face” immortalized by Nathaniel Hawthorne and Daniel Webster. 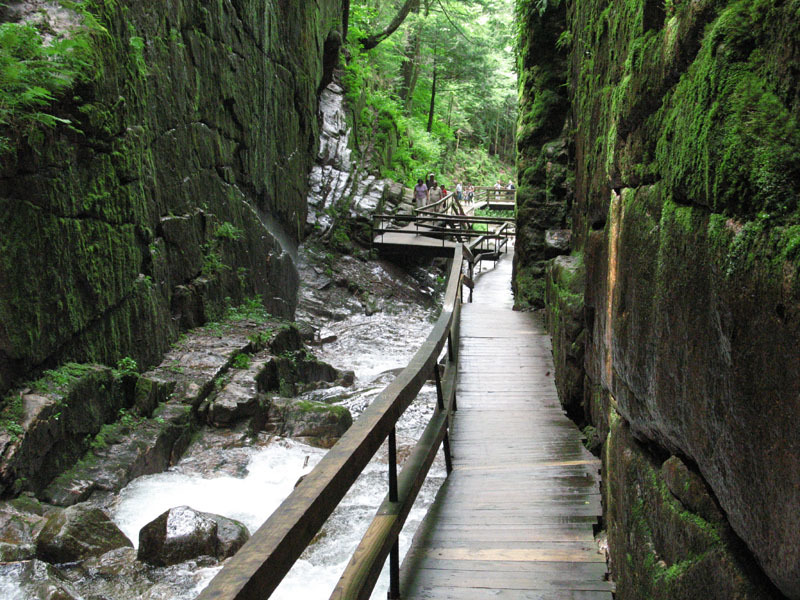 While you are here, stop at the Flume Gorge Visitor Center and walk through the renowned Flume Gorge, ride the exciting aerial tramway at Cannon Mountain, and visit the New England Ski Museum. On your way home, stop by Robert Frost’s Poetry Center and have one final breath-taking view of breathtaking New Hampshire.